So it has been more than a month since I last posted on this blog. There are several good reasons for my absence. First, I had a couple of 65+ hour work weeks, leaving little time for anything but work or sleep. Then there were two games that simply consumed me. The first was Etrian Odyssey 4, which I will write about later. The second, and the one that took up much more of my time, is Monster Hunter 3 Ultimate. I was really waffling on whether to buy MH3U or not. I was also considering plunking my April video game budget down on Lego City Undercover. I am still thinking of picking that up at a later date. Despite not really enjoying the demo at all, I rolled the dice with Monster Hunter. MH has always seemed like something I would like, but playing the series has never really worked out. I didn’t have access to a PSP for the early games, and Tri came out for the Wii when I was short on cash, so I passed on it. Monster Hunter 3 Ultimate has been a revelation. Something about this game has just grabbed me like few games have. Despite my heavy work load I’ve managed to put more than 100 hours on the game since its release. There are so many different monsters to hunt, so many different weapons to forge (even if sticking to just one or two types) and armors to make. Then there is the deliberate, methodical pace to the fights. You swing big weapons at big monsters, the point of the game is to pick and choose the ideal moments to swing to deal the most damage and avoid the counterattacks. It is a fairly unique combat system, slow and heavy that seems simple on the surface but there is plenty of depth in the different elemental damages, status effects, stunning and traps and capturing. Where the game really shines is in making the player feel awesome. You start out hunting small things, herbivores and little raptor looking dinos. Then you get your first big hunt, the great Jaggi, a large version of those little dinos. For a new player this is a significant challenge. This is the first monster that actually fights back in any real way. It is legitimately dangerous. After you beat it and move on to bigger and tougher monsters. When you next encounter the Great Jaggi, it has went from being a threat to being fodder. Then there is the Lagiacrus. This water dwelling beast is the big boss of the first half of the game. It is first seen in a gather mission where the player is unable to damage it. It is scary, significantly larger than anything faced previously. The big scare is when you run to the supposed safety of dry land, only to have the monster follow you right onto the shore. It is some time before you face the beast again. This time there is no fear. You fight it on land and it flees to the water, then you chase it right back into the sea, diving in after it to finish the fight there. Moments like this just keep happening. There is always another level of awesomeness for the player to attain. There is always another giant beast to hunt and slay. It hooks you and just keeps you coming back. This is also the first game I’ve ever played online in any significant way. I played some online games in college, but that was usually just hopping on with my roommate for some Halo 2. This is my inaugural online experience. And there is nothing quite like getting a good group of players together for some monster hunting. Sure, you get some dicks. People who like to blare crappy music over their mics or only want to do the “required” quests, but for the most part the experience has been great. I guess what I am saying is I love this game, and will probably be playing it for some time. If anyone want to do some online hunting, my NNID is RascallyBadger and my hunter name is Skoce. 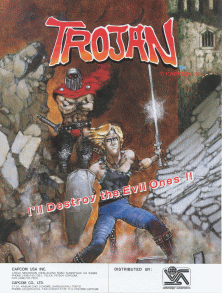 This examination of Trojan is the first entry in what is hopefully a long-running and well-loved feature on my blog: Video Game Archaeology. For Video Game Archaeology I will search out games that I am personally unfamiliar with, games that I have never played, never seen played, even games that I have never heard of, and then I will play them. Also, I will try to find out their lineage and their importance, if they have any. 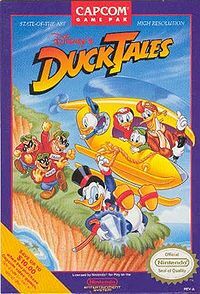 I know that many games get forgotten not because they were badly made, but due to mnay reasons that have nothing to do with the games quality, like timing or trends. I hope that in my searches I will find some lost treasures, but more likely, I will uncover lots of junk. Is my knowledge of a game a good indicator of how well known it is? While I do not presume to know everything, I would say I have quite a bit of knowledge on the subject. The games do not have to be completely unknown; I am just hoping to avoid games that are well known.